I bought this MIDI-keyboard because I wanted something with enough options in terms of controlling my DAW and plugins, something to write small melodies and something that would fit neatly under my desk as well. The keyboard comes with number of great features and is easy to setup. My computer recognized it instantly and I had no problem with it communicating with Reaper. I use it mainly as a controller and for initial songwriting ideas but the 8 drumpads are especially nice when used with MIDI drums like Superior Drummmer. It makes it easy to quickly play and record beats. Also, the ability to call up you mix window, the knobs latch function and the quality of the keys themselves has made this a stable in my studio, still small enough to carry it with me when I am on the road. I have used this almost every day since I bought it and I love it. 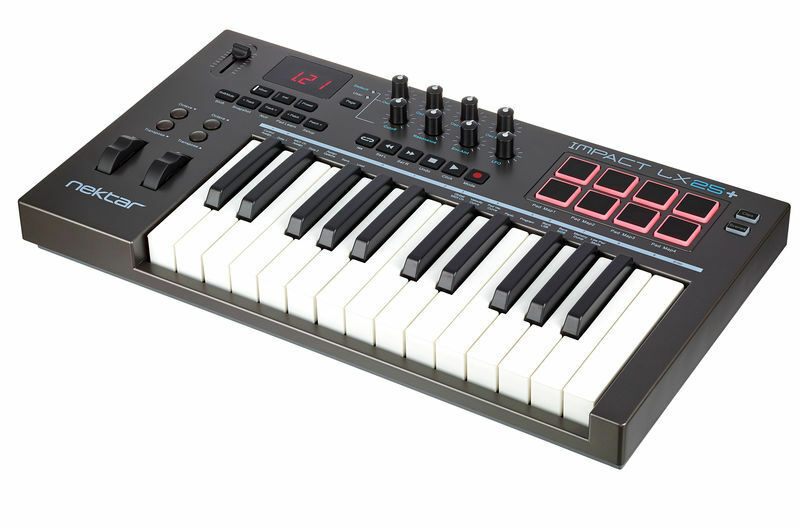 If you want greater flexibility when playing keyboard I would recommend buying something bigger but if you just want a compact solution that would fit in any studio, this would be it. Great quality, nice features and works with all DAWs. Overall you get great value for your money. The controller has all the essentials, the only thing I would want it to have is more inputs/outputs (for other MIDI stuff). The quality is good for the price, except some very minor details like the keys not being perfectly aligned, so that some of them are higher than others. If you want something cheap to start with, but not just throw your money away, it's perfect. ID: 400073 © 1996–2019 Thomann GmbH Thomann loves you, because you rock!